This is the last of the series of 31 international properties that the World Heritage Committee feels are in danger. It may not always be appropriate or even prudent to become involved in some local issues, but as an expat, if you live near any of the properties on the list you can consider how to show support for their conservation. Mtskheta is one of the oldest cities in Georgia, located in the Kartli province, in Eastern Georgia, about 20 km north of Tbilisi. Due to its historical significance and numerous ancient monuments, the “Historical Monuments of Mtskheta” became a UNESCO World Heritage Site in 1994. Archaeology suggesting previous towns has been found on this site dating to before 1000 BC. Mtskheta was the capital of the Georgian Kingdom during the 3rd century BC to 5th century AD. Although the capital of Georgia was moved from Mtskheta to Tbilisi in the 6th century AD, Mtskheta continued to serve as the coronation and burial place for most kings of Georgia until the end of the kingdom in the 19th century. 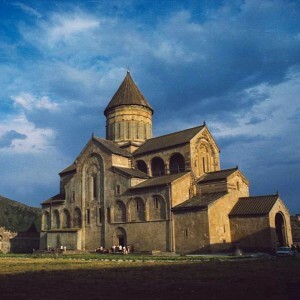 The 11th century Svetitskhoveli Cathedral and 6th century Jvari Monastery are two of the most significant monuments representing Georgian Christian architecture. They are historically significant also because of inscriptions found within them which provide a reference for studying the early Georgian alphabet. Also of international historic significance near Mtskheta are the ruins of the 3rd century Armaztsikhe fortress and 1st century acropolis, Pompey’s bridge, which was supposedly built by Pompey the Great in the 1st century BC. The remains of a 1st to 3rd century AD royal palace, a 1st century tomb, a small 4th century church, the 11th century Samtavro Monastery and the 14th century fortress of Bebris Tsikhe are all nearby as well. These monuments and ruins have been listed as sites in danger by UNESCO because of the “serious deterioration of the stonework and frescoes”. 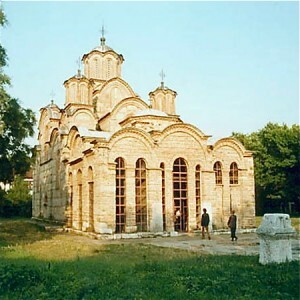 Four Serbian Orthodox Christian Churches and monasteries mainly dating from the 13th and 14th centuries, represent the meeting of two geographical architectural styles: Eastern Orthodox Byzantine and Western Romanesque Ecclesiastical fused to create the Palaiologan Renaissance style. As well as the architectural style what is of immense interest is the unique style of wall painting. Collectively this site is known as the Medieval Monuments in Kosovo, but individually these buildings consist of the Dečani Monastery, Patriarchate of Peć Monastery, Our Lady of Ljeviš, Gračanica Monastery. These churches and monasteries are located in Kosovo, which declared it’s independence in 2008, but is considered by Serbia to still be its southern province. After repeated visits international experts declared these monuments of immense international historic value and petitioned to have them included on the World Heritage List. Very shortly after their inclusion in 2004, the sites were placed in the World Heritage in Danger List because of the extreme difficulties of maintenance and conservation due to the political difficulties in the region. Thanks for the post on the churches in Kosovo, which are threatened by Albanian thugs- nobody seems to care, neither the UNO, the EU or even the US which has a military base-Camp Bondsteel-nearby. I agree with Antifrogfrog!! Thank you for including these beautiful pieces of history. Hopefully this will draw attention to them from others besides Serbian supporters or Orthodox supporters (and others, I know!) who do what they can to protect and rebuild everything the Albanian thugs have destroyed!